Tickets are still available for tonight’s Magnetic Field Reunion Live Band Karoke Cruise featuring Bunnie England and the New Originals. It’s going to be a blast! Get details and tickets here NOW. And please check out The NEW Homer Fink Show with bandleader Steve Reynolds. 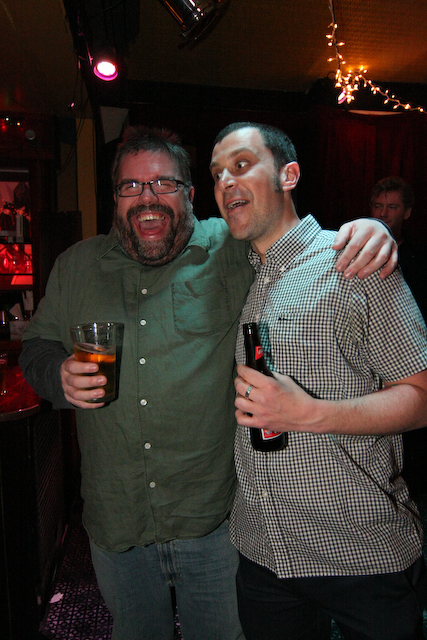 Magnetic Field Karaoke Reunion – It Floats! Get ready for a Magnetic Field reunion with karaoke kings Bunnie England and the New Originals on July 16 – on a boat! Details after the jump.